You can’t really go wrong with fried chicken wings. Seriously , you can probably just add salt to the chicken wing and flour them, deep fry them and they will be tasty. It’s something about the crispy, yet chewy Unami flavor of the first juicy bite. Not matter how you fry it, it’s just tasty in its own way. They’re the best just hot right out if the fryer! I love them so much, I can even eat them cold. 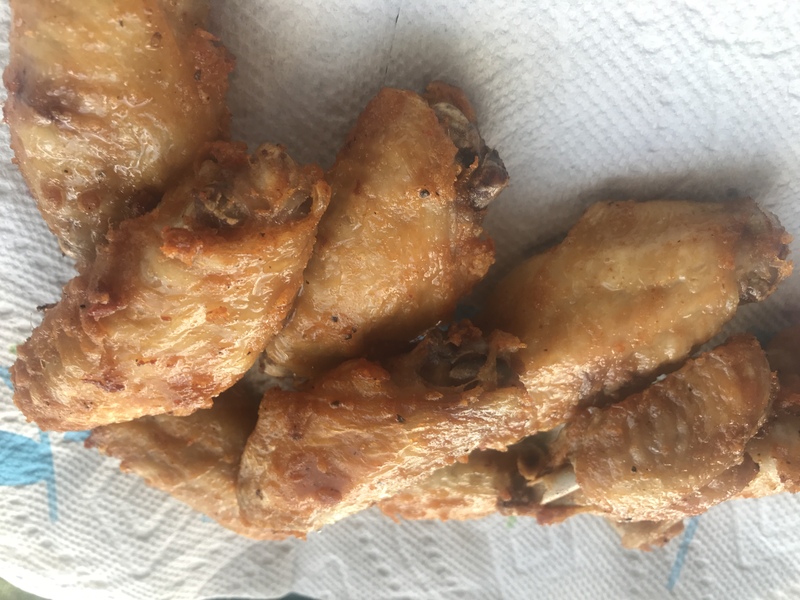 If you’ve never made chicken wings before, I highly recommend you to try this recipe because it’s tried and true with the ingredients in it and it’s pretty easy. Once you make this recipe a few times, feel free to play with the proportions of ingredients. My favorite way to eat this is either plain with just a sprinkling of salt after you take it out do the fryer; or you can eat it the classic Chinese take out way (the way I’ve grown up eating), with ketchup and red devil hot sauce. You can use the same brand of hot sauce that’s in your chicken wing marinade. I marinated it in a mixing bowl this time, but will most likely use Kiva World’s Silicone Slider Bags next time. I love how you can take off the slider and flip it inside out and sterilize it in boiling water for a few minutes and it’s ready to use again next time. In the past, I usually used a gallon size Ziplock and leave it in the refrigerator overnight, sitting in a mixing bowl in case it leaked. 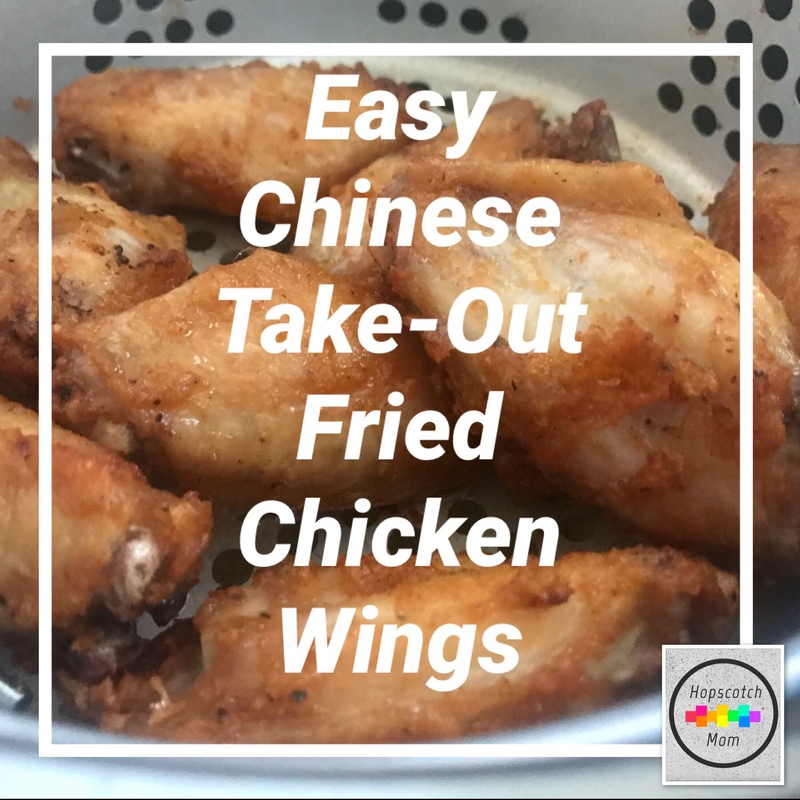 Well, scroll down for my version of Chinese Take-Out Chicken Wings! *Note: This is the first time I tried to measure my ingredients. Usually, I just eye every ingredient. I got this ingredient list from my dad without proportions (he seriously made one of the best Chinese chicken wings). 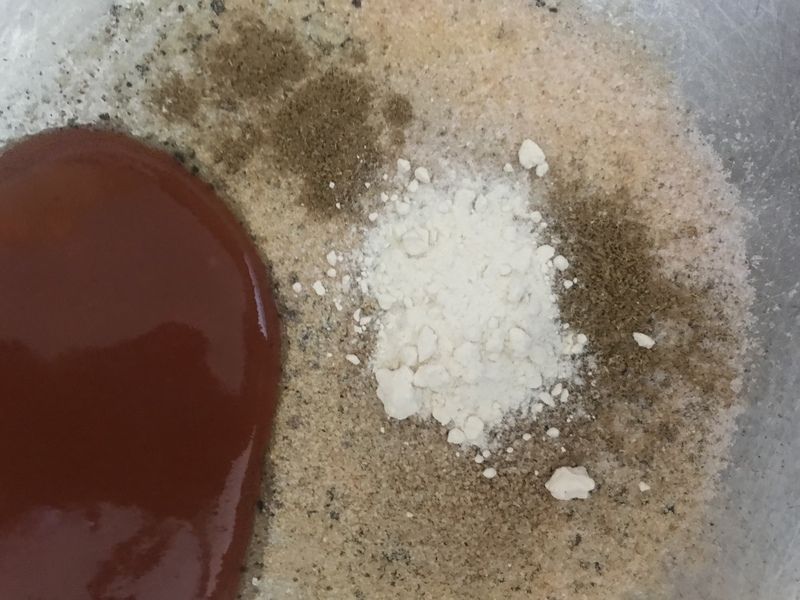 I played around with it many, many times with the unmeasured ingredients and it’s been pretty great every time. 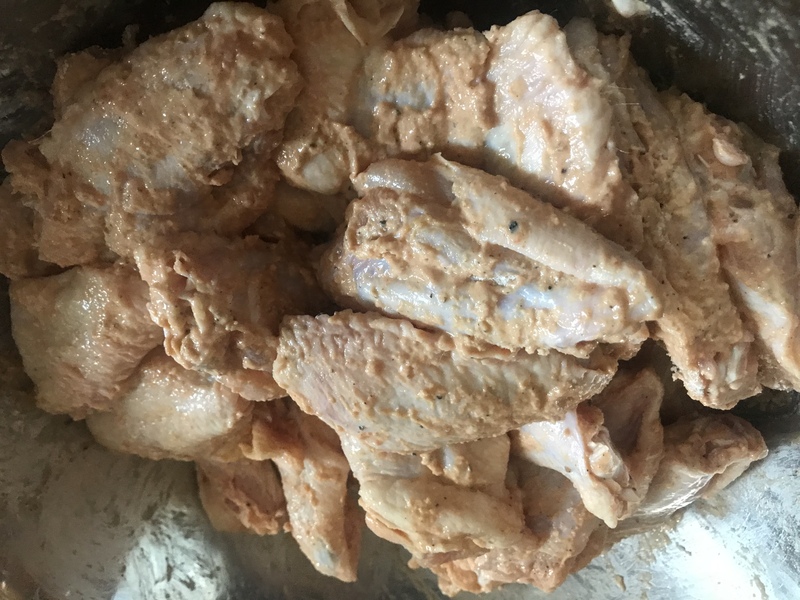 This recipe errs on the not as salty side- it could also be that it’s because I didn’t let it marinate as long (3 hours only) as the other times (overnight in the fridge or at least 8 hours). I also usually “drown” the chicken wings in the hot sauce. Feel free to double the seasonings in this recipe or just add a little extra salt on top after it fries out. My favorite brand to make these wings are Red Devil. We used Red Hot a lot too because it’s what’s available at Costco. I will be updating this recipe or offering an alternative after I try our measurements for it later on as well. 1-Mix everything and let it sit for a few hours. 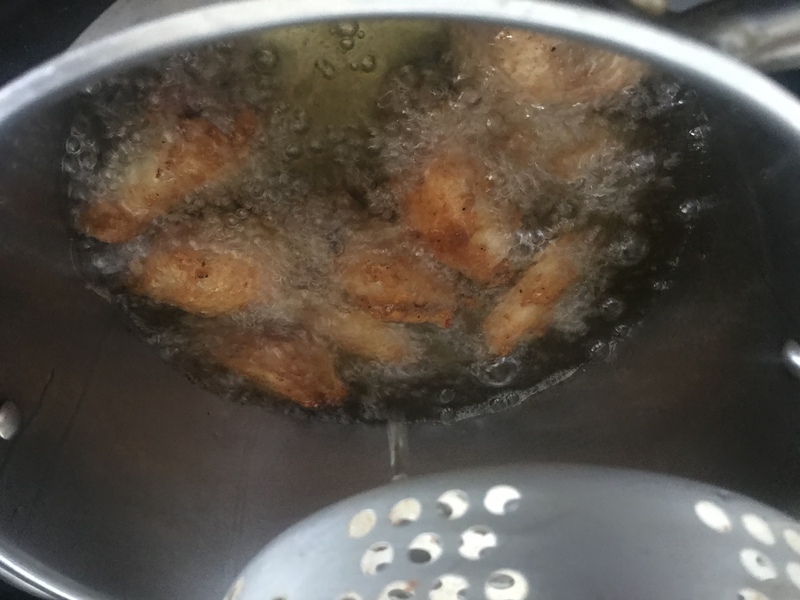 2-Deep fry for about 10 minutes and flip them over (if you’re using a small home deep fryer) . 3-Deep fry for another 10 minutes to get the other side crispy. 4-Serve with hot sauce and ketchup or with just a sprinkle of salt. *Note: I was in a hurry this time and mixed the flour in with the rest of the ingredients list. 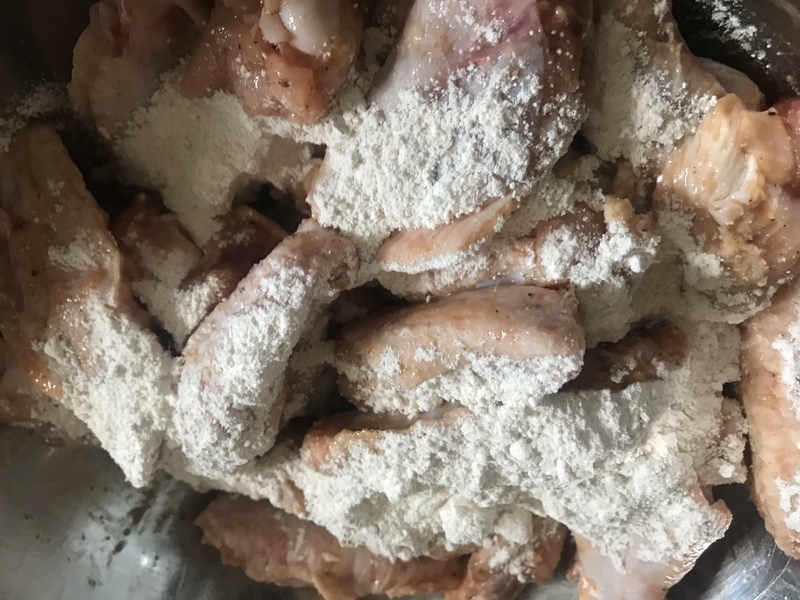 Usually, I let the ingredients marinate on its on with the wings without flour; and when I take it out to fry, that’s when I powder them and pat the excess flour off. 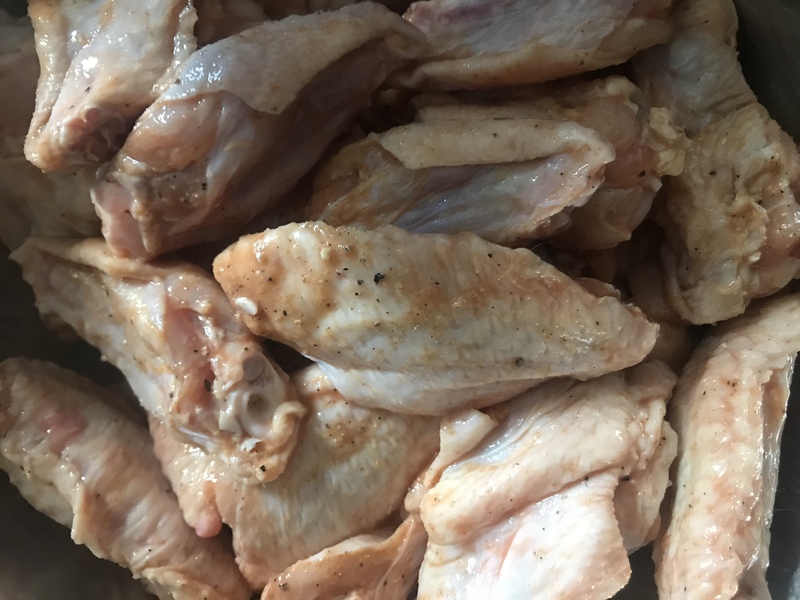 Leave a GIF below on how you feel about chicken wings! 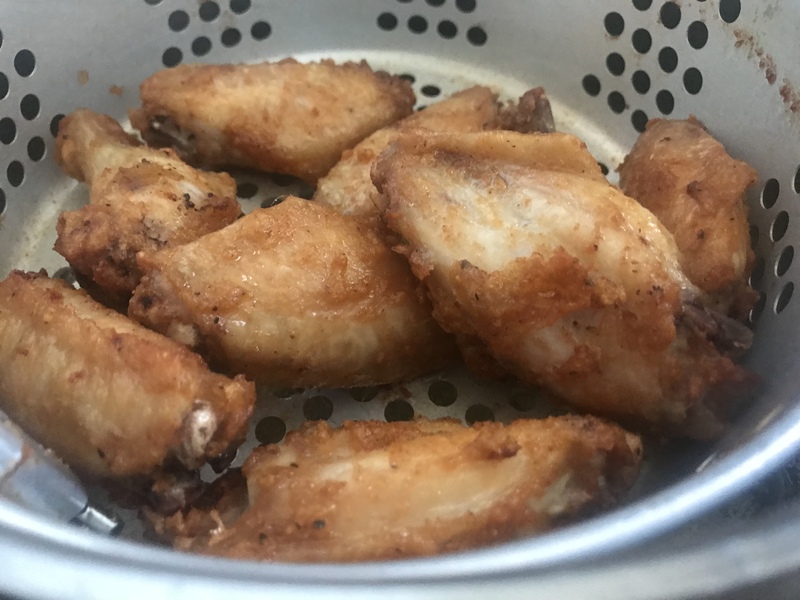 I marinaded the wings last night and deep fried this afternoon, omg i love the flavor!! Never thought to use hot sauce to marinade the wings!! Thanks for the recipe! Hopscotch Mom One Year Anniversary Giveaway WINNERS!!! Happy One Year Hopscotch Mom and Giveaways! Enter your email address to subscribe to Tidbits of all things parent and child related.